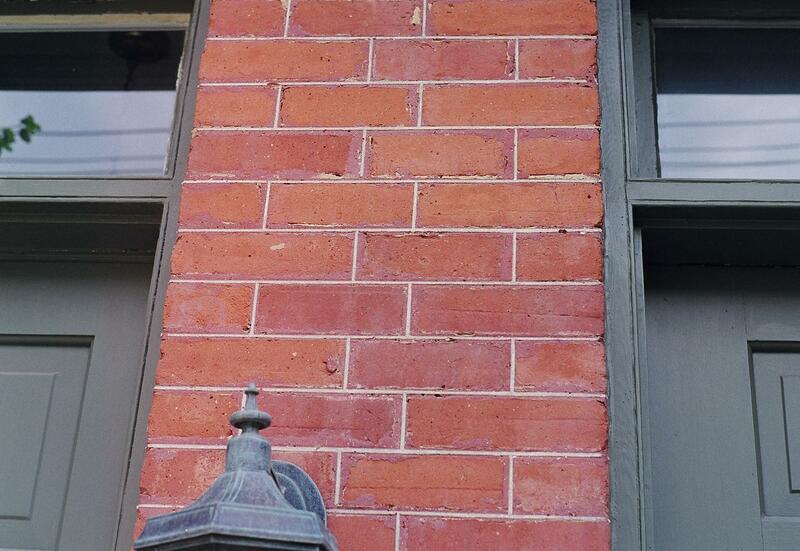 Aforethoughts on Heritage Masonry: Why are there red lines over the original yellow mortar of my Victorian house? 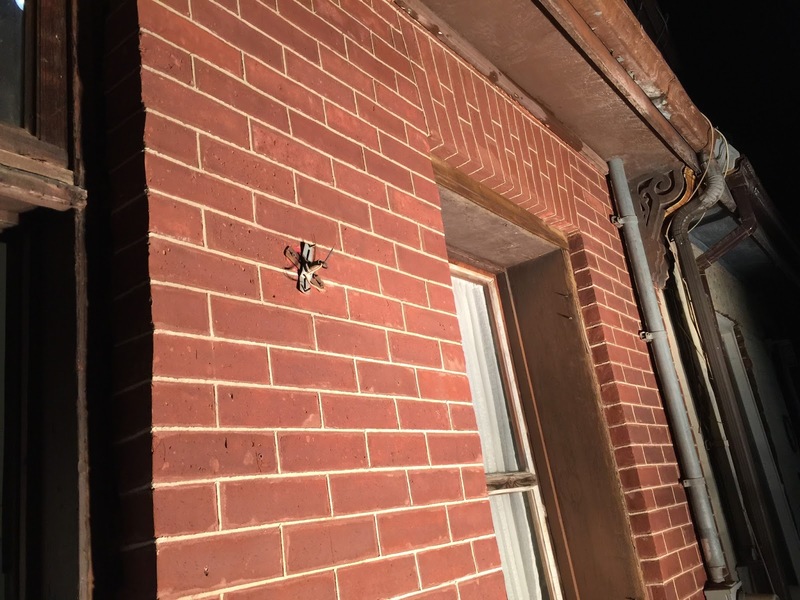 Why are there red lines over the original yellow mortar of my Victorian house? 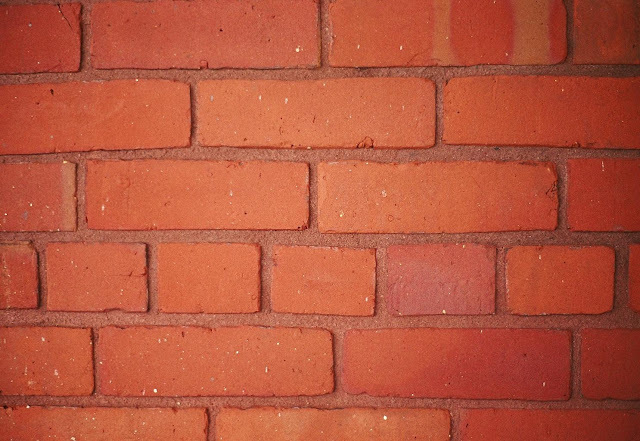 Sometimes I meet prospective clients who own a Victorian house and who ask me why there is some sort of combination of red and white (and sometimes black) lines on top of the yellowish lime mortar with which the brick walls were constructed. Many people assume that it must have been done after the fact. It wasn’t. What they are looking at are the remnants of true tuckpointing. I say “true tuckpointing” as opposed to simply saying “tuckpointing” because there is a confusion about the correct nomenclature. These days, when people say, “tuckpointing”, they usually mean “repointing”. In Victorian times, they were very different things. “Jointing” referred to the process of finishing the joint as the brickwork was erected. Jointing is what all bricklayers do today. “Pointing” denoted the placement and careful tooling of a mortar joint between bricks or stones. In contrast to jointing, pointing was the process of raking back the mortar joint a few days after the completion of the brickwork and was usually done by a different crew that was skilled in delivering a high-quality, consistent decorative finish to the joint. Also, jointing was performed at the rear and sides of a building, with only the front façade being pointed. 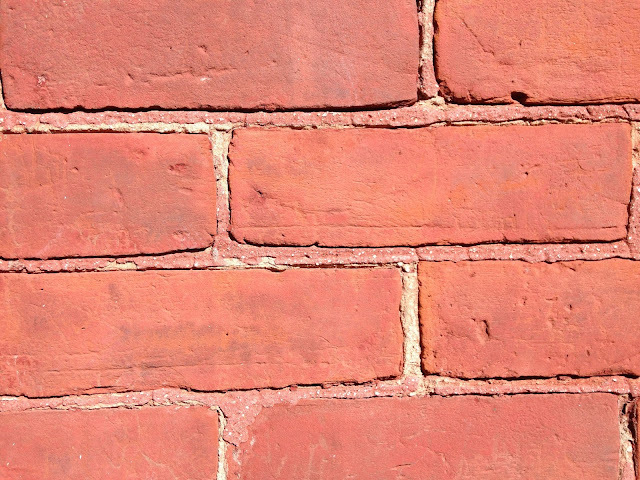 “Repointing” referred to replacing a mortar joint when it had failed, on average about once a century. This was typically the type of restoration work completed on older mortar. “Tuckpointing” is an interesting one, which will need further explanation. 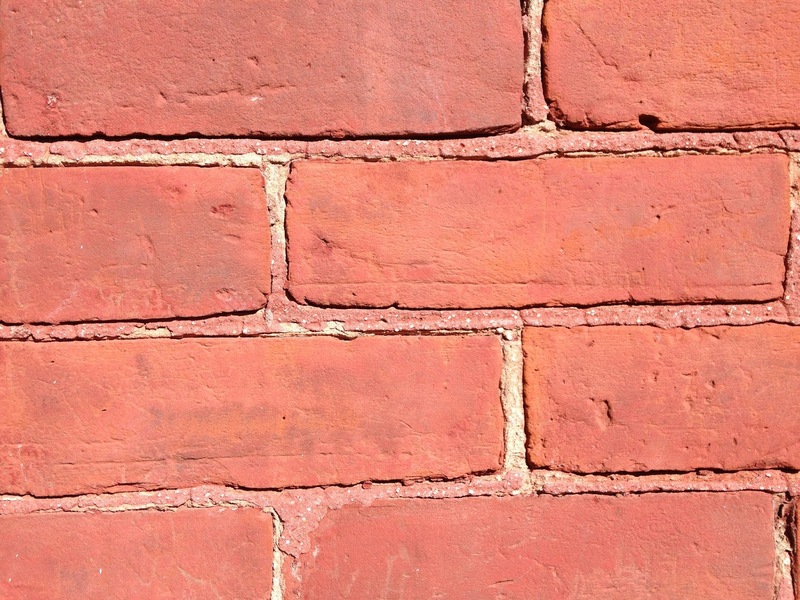 The word “tuckpointing” once referred to a specialized application of pointing that consisted of first sanding the bricks to a smooth, even surface, then masking the original mortar joint with a thin one that matched the brick in color, usually red. One would have created — up to this point — the illusion of looking at a solid wall of clay, as opposed to a wall consisting of individual bricks. Then, after having rubbed the red mortar with a piece of jute and dying the work to a uniform color, fine lines were cut with a knife into the “masking” mortar while it was still soft, in a rigidly symmetrical fashion to produce a perfect geometrical outline of each brick. 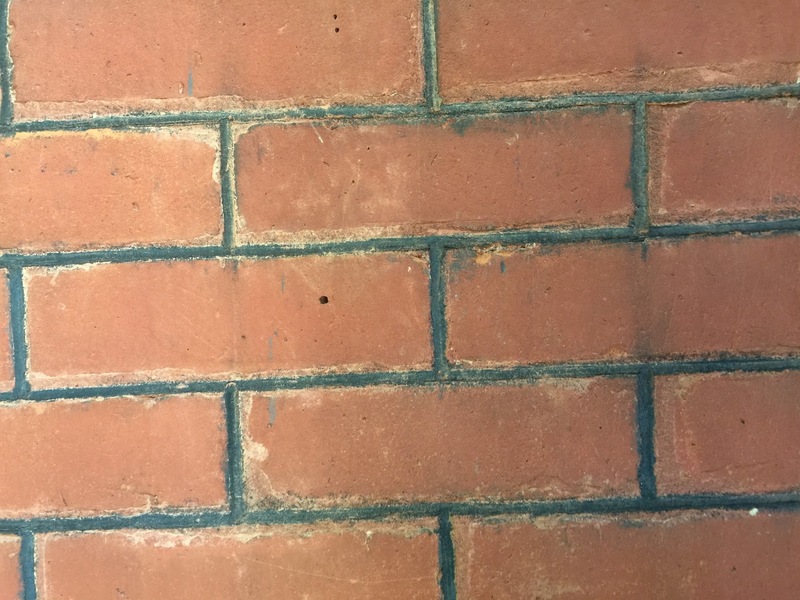 At that point, a fine, usually white, lime putty mortar joint was tucked over the lines and meticulously manicured, you might want to say, so as to create the illusion that the wall had been laid with perfectly rectangular bricks in a mortar bed as thin as 1/16th of an inch! Tuckpointing originated in England in the 17th century as a cheaper alternative to gauged brickwork — which was the ultimate method of laying bricks, consisting of rubbing the stones to exact dimensions and perfect edges, then dipping them lightly into lime putty, providing a true 1/16" joint. Tuckpointing subsequently became the pointing style of choice during the Georgian and Victorian periods, minimally for the front façade of brick buildings. So now you know what these red lines were and why there are there. In most cases the tuckpointing has mostly come off over the years, and most of the white (typical) or black (less common) ribbon is gone and what you have left to a varying degree is some red mortar over the yellow mortar. Knowing what to do with that is important in my opinion. Some people repair the failed mortar with a yellow mortar, which makes a strong, unsightly contrast. Others use red mortar to perform the repair, which doesn’t look quite right either. Removing all the mortar so as to repoint the entire wall is not recommended either as the original character will be lost. What I do is I perform the repointing work, matching the mortar to the original yellow mortar on the house, and then I run a thin red line in the center of it so as to blend the work and eliminate the offensive contrast. 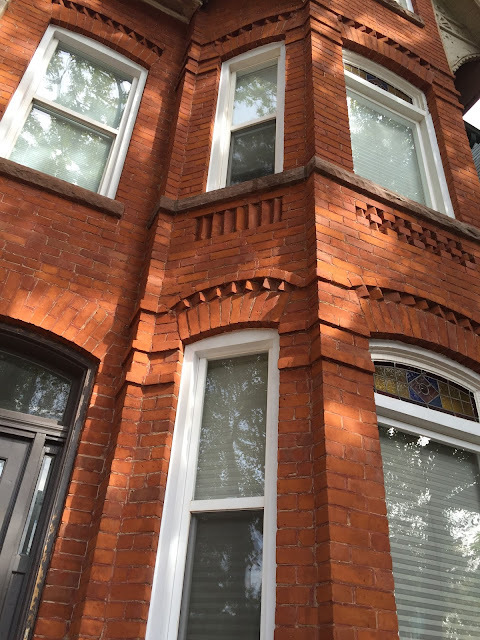 Another possibility, although all-too-often prohibitively expensive, is to remove all the mortar and redo the true tuckpointing. As you can see, if not done properly, tuckpointing can appear messy and ghastly. With practice, it would come closer to perfection, but the issue is that virtually no one is prepared to pay for it, and so my approach of putting a red line over the yellow mortar has been seen as a great solution by essentially all the homeowners for whom we’ve done it.